We give free baby cones to children under 40" and free 'doggie sundaes' to your furry friend, so bring the entire family for some Bruster's fun! We know that schools, communities, clubs, athletic organizations, etc. are always looking for ways to raise extra money. So we've made fundraising easy, fun & profitable! Birthday’s, Anniversaries, Holiday’s, Office Parties…whatever your occasion, we make ice cream cakes and pies right in our store. Just call us and place your order at least 2 days in advance. We’ll create a one-of-a-kind sensation that is sure to please your guests. Did you forget that special birthday? We have plenty of fresh cakes and pies in our showcase. We can even write your special message on them! Don't have what you wanted? 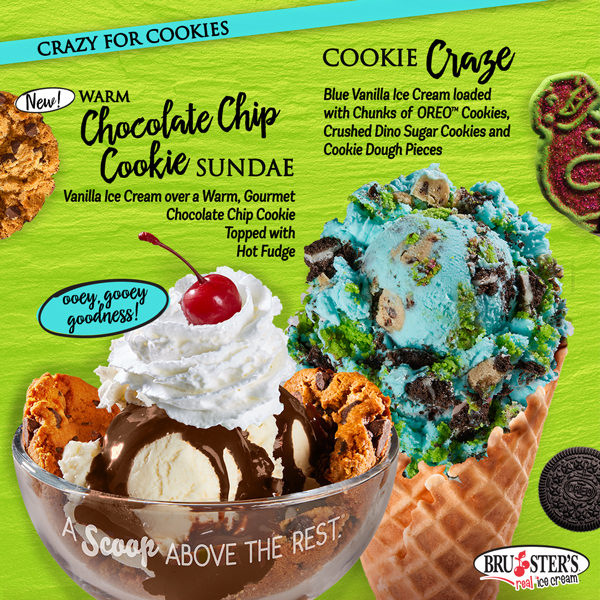 Call us or place an order with our Scoopers for the flavor you want. We can normally have your flavor the next day! We have the capability to cater office parties or small events.